A funeral mass will begin at 10 a.m. Tuesday, April 16, 2019, from St. Christopher Catholic Church with Father Raines, officiant. Entombment will follow in the Chapel of Prayer Mausoleum at Dickson County Memorial Gardens, Highway 70 East, Burns, TN. Visitation with the family will be at Taylor Funeral Home on Monday from 4:00 pm until 8:00 pm with a Rosary to be said at 7:00 pm. Mr. John Edward Eberle, age 79 of Dickson, TN died Friday, April 12, 2019, at Dickson Health and Rehab. For those desiring, memorials are suggested to St. Joseph’s Indian School. A native of Nassau County, New York, John was the son of the late Herbert Eberle and Marie Valentine Eberle. John graduated from Chaminade High School, a Roman Catholic college preparatory high school for boys in 1957. He attended St. John’s University in 1958 where he met his wife Theresa. He graduated with a Bachelor of Arts in 1961. John and Theresa married in October 1961 and moved to Tennessee in 1968 from Bellerose, New York. A few years later John found his true calling and passion in music. John worked 30 plus years as a Mastering Engineer at N.R.P. (Nashville Record Productions), where he mastered chart topping and even Grammy winning recordings. John started his own business June 1, 2000 in Dickson named Americana Mastering which specialized in cd mastering and archival restoration of reel to reel tapes. John retired from mastering in 2014 because of health issues. John was a beloved husband, father, and Pawpaw, who was so very proud of his two grandsons who he loved spending every minute with. John was a long-time communicant of St. Christopher’s Church in Dickson. 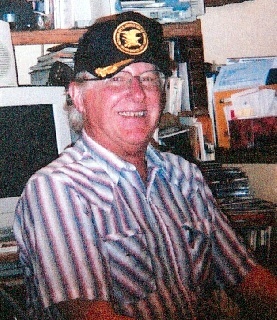 Survivors include his daughter, Christine Marie Palk (Steven), McEwen, TN; his two grandchildren, Dalton Palk (Hope), of the U. S. Navy, and Beau Palk, McEwen, TN. His brothers-in-law, Joe Ciotta (Myra) of Alabama, and Anthony Ciotta of Virginia. He is preceded in death by his wife, Theresa S. Eberle; his parents, Herbert Eberle and, Marie Valentine Eberle; and Sarah Eberle; in-laws, Joseph and Anna Ciotta; sister-in-law Inga Ciotta.